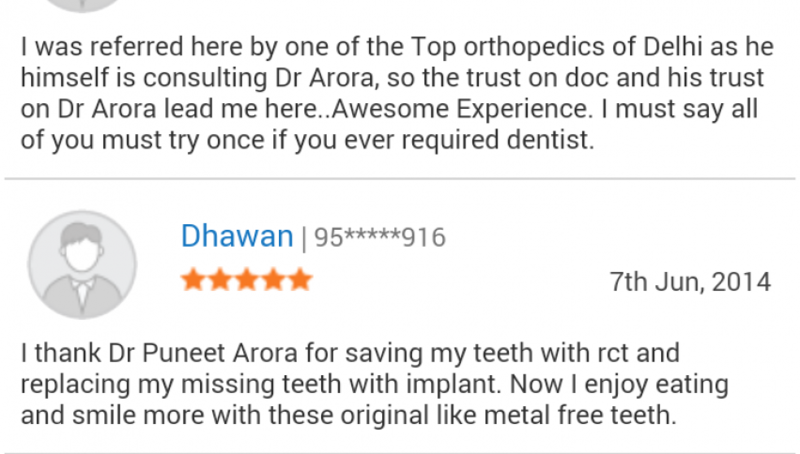 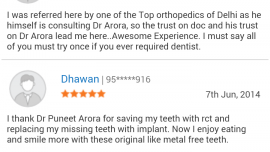 Best Root canal treatment in delhi :What is root canal treatment? 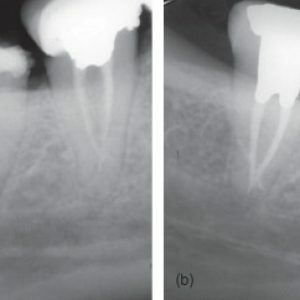 Root Canal treatment alo called RCT is an art of dentistry to save a Paining tooth from removal when infection has reached its nerve portion (Pulp Chamber). 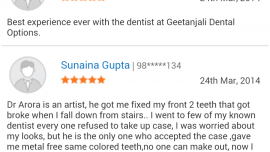 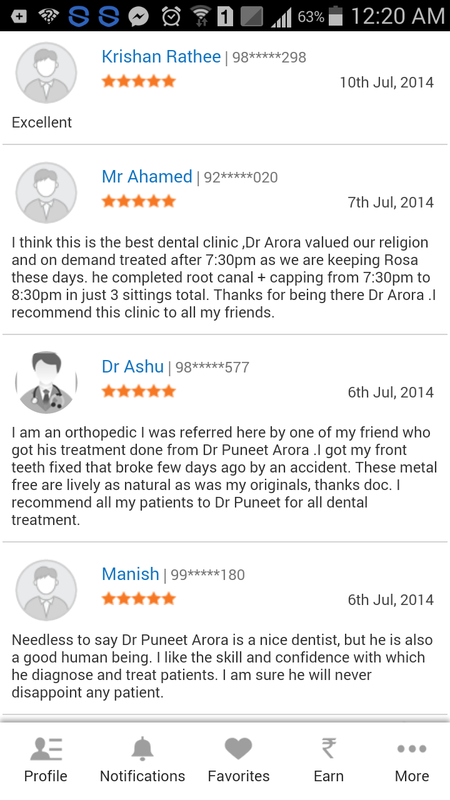 Root canal specialist in delhi : When is Root Canal treatment required? 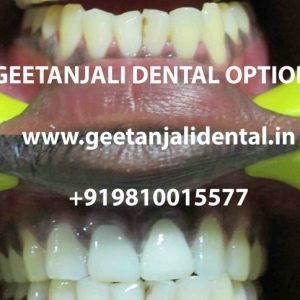 Best root canal treatment in delhi :What is the root canal treatment procedure? 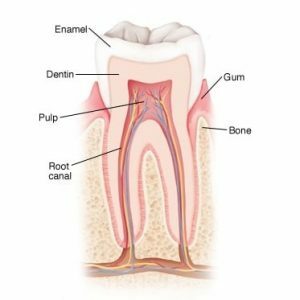 How do I know if the root canal treatment is the best choice? 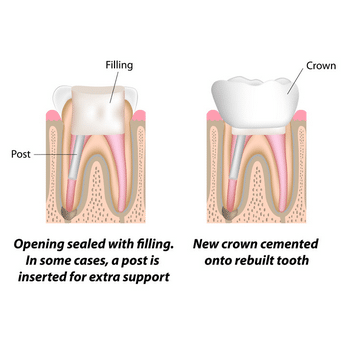 It is always the best choice to save a natural tooth (untill it is badly damaged or shaking alot). 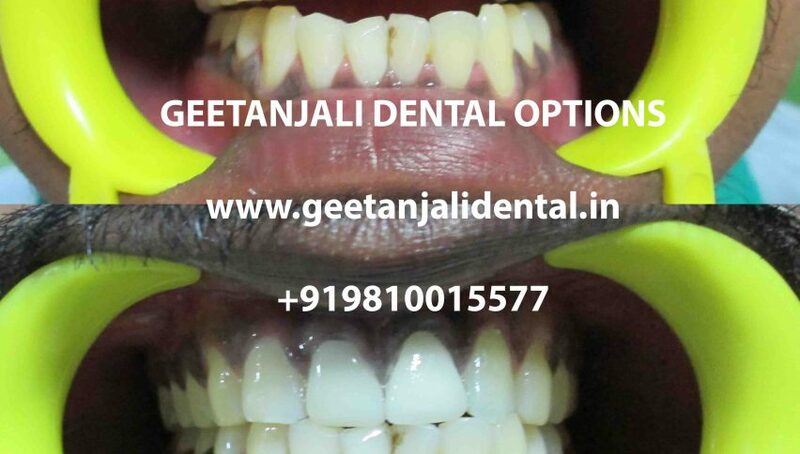 With the advancement in technology and the use of latest equipments the procedure is made most comfortable and painless, which was not possible earlier. 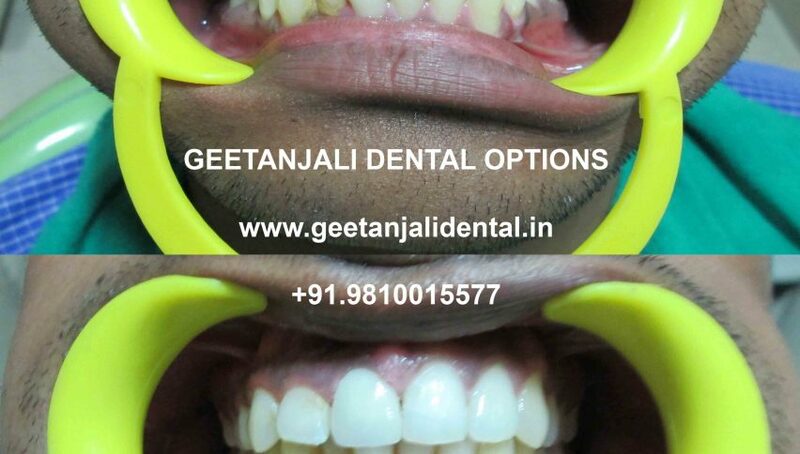 After the procedure your teeth functions like a normal tooth. 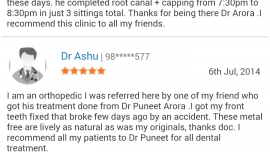 Painless root canal treatment delhi : Is root canal treatment a painful procedure? 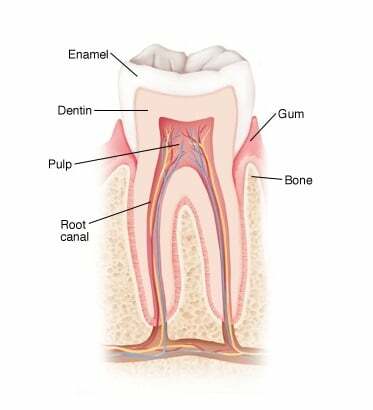 Main aim of the root canal treatment is to relieve pain caused due to the swelling and infection in the pulp/nerve chamber. 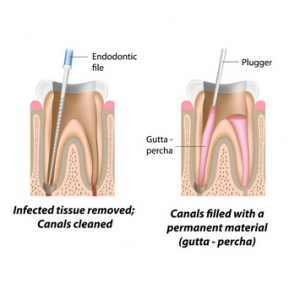 It is our utmost concern to make root canal treatment as painless and comfortable for you as possible. 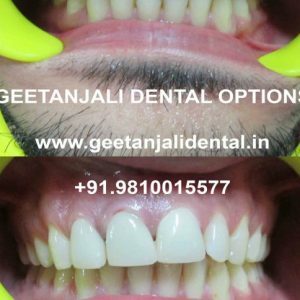 The procedure is done under local anesthesia and with latest equipment using modern day techniques. After the procedure your tooth might feel a little different from the other, but this sensation is temporary which depletes with time. Always Remember root canal treatment is done to relieve you of the pain and infection and not to make it more painful for you. 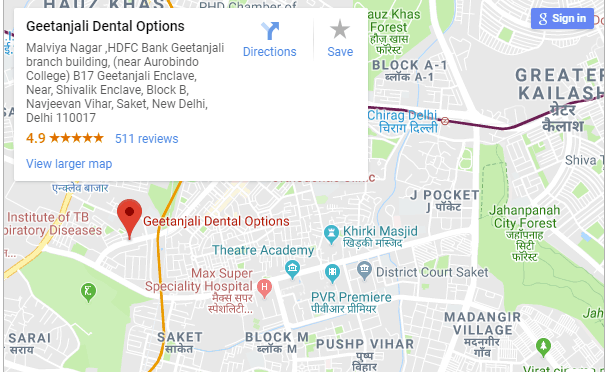 How many appointments root canal treatment will take? Root canal can be done in single sitting or multiple sittings which depends upon the underlying infection.Multiple sitting root canal treatment usually is completed in 2 to 3 sittings. 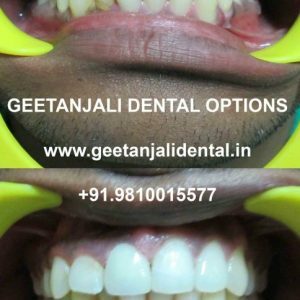 Best root canal specialist in delhi :What are the root canal treatment side effects? 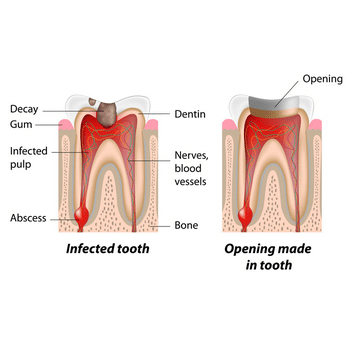 There are no as such side effects of root canal but our tooth becomes more brittle after root canal treatment as there is no blood supply for nourishment of tooth , and is prone to fracture by any abnormal forces. 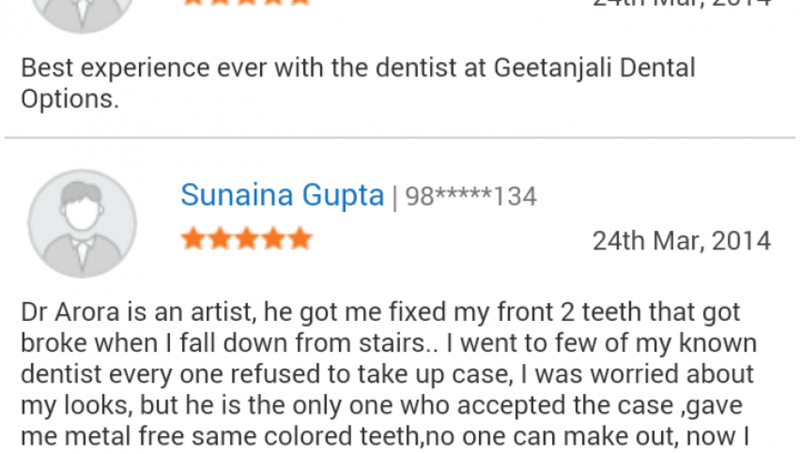 so to avoid such situation it is recommended to get crown /cap on the root canal treated tooth. 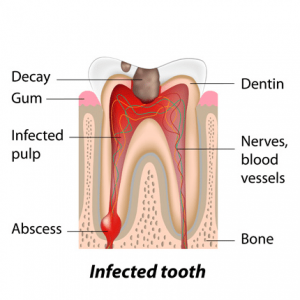 What is the prognosis of a root canal treated tooth? 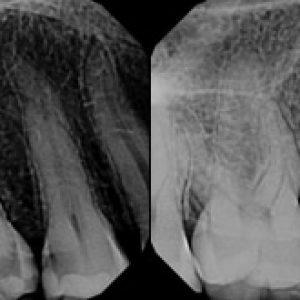 A properly root canal treated and crowned tooth with with a meticulous oral hygiene regime followed by the patient will make your tooth functional for many years to come. 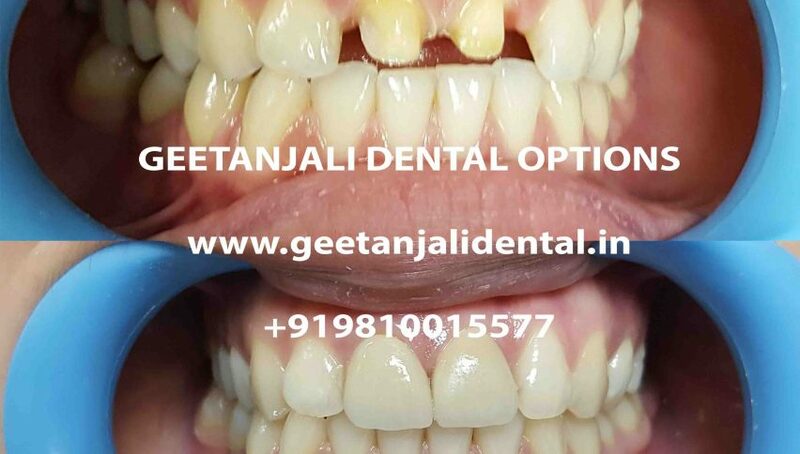 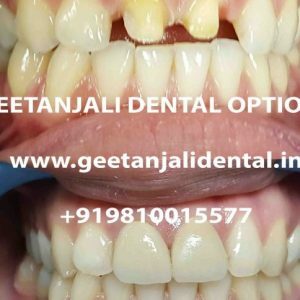 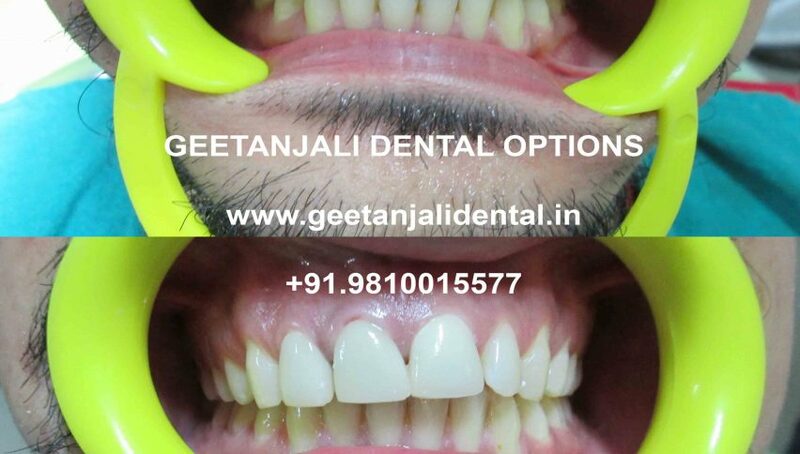 Our clinic is located in South Delhi (Painless Root canal treatment specialist in south delhi), Malviya Nagar (Painless Root canal treatment specialist in malviya nagar) and easily approachable from Shivalik(Painless Root canal treatment specialist in shivalik),Saket(Painless Root canal treatment specialist in saket),Mehrauli(Painless Root canal treatment specialist in mehrauli),chattarpur(Painless Root canal treatment specialist in chattarpur),Panchsheel Park(Painless Root canal treatment specialist in panchsheel park),Panchsheel enclave(Painless Root canal treatment specialist in panchsheel),Lado sarai(Painless Root canal treatment specialist in lado sarai),Sarvodaya Enclave(Painless Root canal treatment specialist in Sarvodaya enclave),Navjeevan Vihar(Painless Root canal treatment specialist in Navjeevan vihar),Sainik Farm(Painless Root canal treatment specialist in sainik farm),Lado sarai (Painless Root canal treatment specialist in lado sarai),Pushp Vihar(Painless Root canal treatment specialist in push vihar),sheikh sarai(Painless Root canal treatment specialist in sheikh sarai),Savitri nagar(Painless Root canal treatment specialist in Savitri Nagar),katwaria sarai(Painless Root canal treatment specialist in katwaria sarai),Hauz Khas(Painless Root canal treatment specialist in hauz khas),Safdarjung Enclave(Painless Root canal treatment specialist in safdarjung enclave) and Green Park(Painless Root canal treatment specialist in green park).